When you are called to awaken, Universal Wisdom will illuminate all old wounds, beliefs, blocks and challenges that are ready to be liberated so that you can experience your True Divine Nature. Sometimes these challenges arise within spiritual path and practice. Sometimes they arise within the stuff of life. 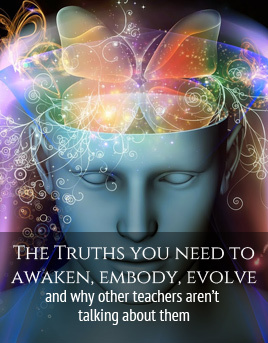 If you can see that these challenges are your awakening teachers, you can receive the lessons and catapult your awakening and embodiment journey and experience greater wisdom, liberation and love.